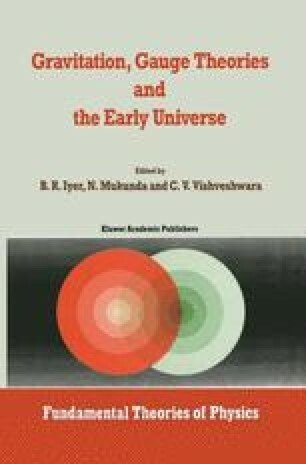 The idea in this chapter is to provide an introduction to several topics concerning the spacetime structure which have proved to be of considerable importance in the analysis of problems in gravitation physics. Most of the theories of gravitation today model the spacetime as a four-dimensional differentiable manifold on which a Lorentzian metric tensor is globally defined. After setting up this basic framework in Section 2, we discuss spacetime diffeomorphisms in Section 3. Lie derivatives and Killing vector fields, which help to define and classify spacetime symmetries are discussed in Section 4. Finally, in Section 5, we discuss boundary construction and the useful technique of conformal compactification for spacetimes which attaches a null boundary to the physical manifold. Whereas conformal compactification becomes most relevant in the case of asymptotically flat spacetimes, the procedure is also useful in cosmological situations. Examples to illustrate the conformal compactification procedure are given.